House Training a puppy or adult Dog is such an essential issue for its owner that even a single exclusive tip turns out to be extremely helpful. The first step in making your Dog fit for polite company would be to potty train him. Some see this training as a hassle and some as a challenge. To prepare for the challenge you should get some poop scooping tools and poop bags. For me, it is part of bringing up a pet. Click here to subscribe to a FREE course on housetraining puppies and dogs. You need to understand your dog’s body language. Watch for signs that will indicate to you when your pet wants to eliminate. If you own puppies, remember that they need to go potty at fairly frequent intervals – as soon as they wake up, after short naps, after play-time, after meals, before and after being crated and finally, before retiring for the night. Take your Dog for walks at the time that he usually does his potty. Take him out to the yard and then to the same place there every time he needs to answer nature’s call. Praise your Dog after he eliminates at the right place. Some Dog owners even give treats to their dogs. But remember to do this every time he does it right. He will relate the rewards to his having “done it right” and zero in on the spot where you want him to defecate regularly. With time, you can try signal training. This is so that you know when your doggie wants to go. You can hang a bell at his level near the door and teach him to push it with his nose or pat it with his paw on his way out. Until your Dog has been fully potty trained keep him under strict vigilance. Do not let him roam around the house freely. Use a crate. A crate-trained Dog is usually very happy to get his own den. The advantage of crating is that dogs do not soil the place where they sleep. So, he will naturally not eliminate inside the crate. If you have a small dog and if you live in a high-rise building or in a place that does not have a proper backyard, you can try litter pan training. What you do is create a space for your pet to eliminate in your house itself. Use positive reinforcements while housebreaking puppies or adult dogs. Do not scold or hit him as you will gain nothing by doing that. He will only associate punishment with your return from outside. If you catch him in the act, a stern ‘NO’ or ‘FREEZE’ will do. It will startle the Dog enough for him to stop pooping. Be prepared to return to a soiled home if you are keeping your Dog home alone for more than 4 hours as separation anxiety is quite common among home-alone dogs. Accidents will happen. It is unusual for a trained adult Dog to work against its house training. But medical problems or health disorders may lead to sudden accidents. Many dogs mark their territory. These can be a leg of a table or a particular wall. Intact male and female dogs mark their territories by urinating. Use deodorizers to spray on the places where your Dog has marked. If you are patient and are ready to accept that house training a dog takes time, even months sometimes, you will end up having a good housetrained Dog. Click here to subscribe to a FREE course on house training puppies and dogs. Now we will move on to how to potty train puppies and adult dogs. Irrespective of breeds, housetraining a puppy is considered to be one of the biggest challenges by dog owners. If you think housetraining your puppy simply involves a steady supply of old newspapers, then think again. A puppy does not develop full control over his bladder until it is over 4 or 5 months old. Since they are growing and developing rapidly at this time, puppies eat more, burn more calories and need to eliminate more frequently than an adult Dog. After each nap, meal, drink or play, take your puppy to his designated area (indoors or outdoors, wherever you have decided) and stay there until it eliminates. Then bring him to his crate. Repeat this situation everyday until he has developed a habit out of it. Click here to subscribe to a FREE course on housebreaking a puppy. The best way to housetrain an adult Dog is to begin all over again. Observe him very closely. Maybe even maintain a diary of where he goes and when. Whether he is pooping when you are home or only when you are outside; whether you can time yourself to be home when he feels the need to go outside. Worried about your dog’s joint health? You need to check out Pet Bounce Multivitamin! You can try dog crates, but be careful to introduce him gradually to them. Click here to subscribe to a FREE course on potty training a dog. Remember, commitment, consistency and intelligent use of positive reinforcement will make you the owner of a perfectly housetrained Dog. Don’t expect miracles. You will only be disappointed. Get this FREE course on potty training a dog. 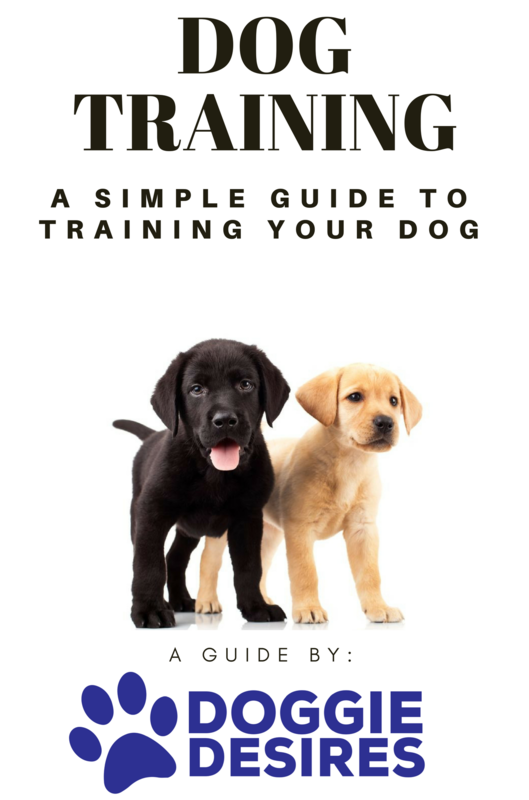 Get this unique Housetraining guide and start Housebreaking Your Dog Today. Has your pup been chewing through…everything? Time for Super Chewer BarkBox! Are You Ready To Bring A Dog Into Your Home?